Compounder is a new product targeting the financial market. The aim of the product is that it offers the end user a better return on investment by harnessing the power of compound interest. The design of the logo and stationery needed to look very clean and professional, but still have a modern, eye-catching appeal. To echo the idea of continual growth from one central point, we developed the ‘C’ icon of the logo to take the form of a series of outward growing ripples, but with an upward slant to the C to further enhance the idea of growth. 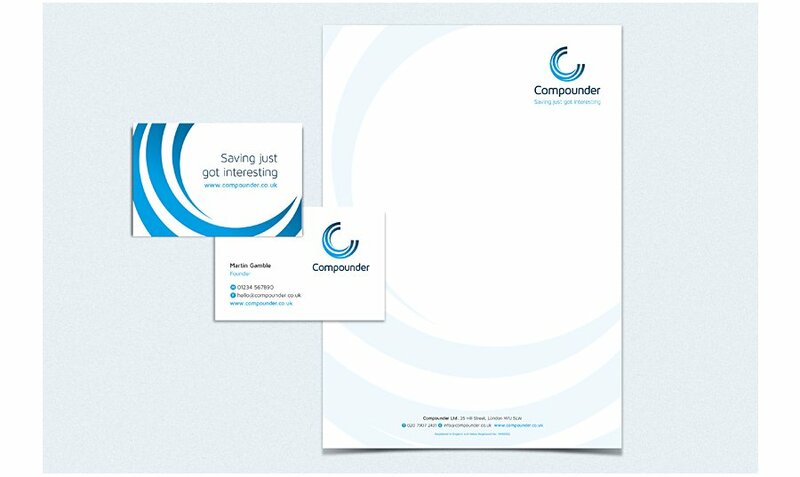 Compounder Stationery Design – Double sided business card and letterhead.